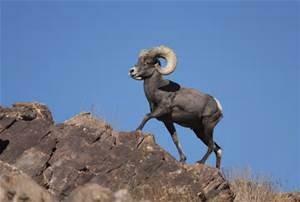 Bighorn sheep are running wild within the Catalina Mountains once more. Thirty-one bighorn sheep were released early Monday at the Catalina State Park in Oro Valley Arizona. The nimble animals were captured in craggy mountains near Yuma over the weekend. The Catalina State Park and Oro Valley are about 10 miles north of Tucson. The 24 ewes, six rams and one lamb jumped out of a transfer trailer when doors were opened. As State officials had hoped the bighorn sheep made a beeline for the rugged Pusch Ridge. State wildlife officers “transplanted” the animals in the first step to restore a bighorn sheep herd to the Catalina mountains. The last known herd died out in the 1990s. The desert bighorn sheep program will involve transplanting 30 more sheep next year. Then another 30 the following year. The hope is to establish a herd around 100 animals. Game and Fish Department officers and the U.S. Forest Service have spent over a year evaluating the transfer idea. The long term objective is to restore a self-sustaining bighorn sheep population that can coexists in natural balance in a naturally functioning ecosystem. The overall cost estimate for the undertaking: $600,000 over the next 3 years. Community and private fundraising is underway to secure funding. An additional twenty-nine more desert bighorn sheep were released in the Santa Catalina Mountains north of Tucson today. The herd included twenty-three ewes and six rams. They are expected to join up with the 30 other sheep released or have been born in the area in the last two years. The latest group of sheep were rounded up and transported over the weekend from the Kofa Mountains near Yuma. Bringing bighorn sheep back to the Catalina Mountains in Tucson is a big undertaking. If successful it will bring a bit of history to the Tucson area. A place many desert bighorn sheep once roamed the picturesque Pusch Ridge in the Catalina Mountains. Considering Tucson as a place to retire Or looking for a winter home in Tucson? We can help!